UNCF offers several national and regional scholarships that close in February. Apply today! You’ll love all the great scholarship opportunities from UNCF this month! Check out these UNCF scholarships and internships currently open for applications, and complete your application before the deadlines. Look at some of the opportunities UNCF offers high school and college students that can help them get to and through college. Visit UNCF.org/Scholarships any time to see what is open. Remember: Complete all steps for the applications! You will not be considered for a scholarship, internship or program until you submit all the information and essays the application requires. The scholarship is open to any male STEM undergraduates of color. HURRY! Closes Feb. 11. This need-based open to current freshmen, sophomores, or juniors who are majoring in communications, computer science, biomedical engineering, chemical engineering, life sciences, microbiology, finance, global health, nursing, science technology, or sociology. Closes Feb. 15. The scholarship is open to students who are dependents of current or retired employees (parent, legal guardian, or foster parent) of the City of Chicago and their sister agencies. Closes Feb. 18. The scholarship is open to any major, but applicants planning to major in one of the STEM related fields are highly encouraged to apply. Scholarship recipients must be permanent residents of the State of New Jersey from Mercer, Middlesex, or Somerset Counties. Closes Feb. 20. 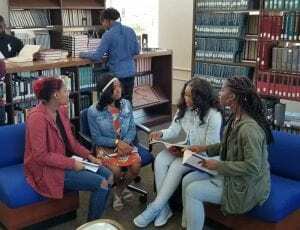 The program is open to college juniors or seniors who are currently enrolled at a UNCF-member college or university and majoring in a branch of engineering, IT, or business. Closes Feb. 22. PayPal is seeking undergraduate and graduate students of color with a minimum GPA of 3.0 and above to apply for a paid internships starting in June of 2019. web development, in Java and Java Script programming languages (for software engineering applicants) and/or provide information on your related projects or internships. Closes Feb. 28. The scholarship is open to African American or Hispanic students, who have permanent residence in Minnesota, who are enrolled full-time as a freshman or junior at a UNCF-member college or university or an HBCU in the 2018-2019 academic year. Closes Feb. 28. The program is seeking college juniors and seniors with an interest in pursuing a career in the publishing industry and whose experience in their first two years of college demonstrates leadership ability and commitment. Candidates will be selected to intern at AAP-sponsored companies (Host sites) for the summer. Closes March 1. 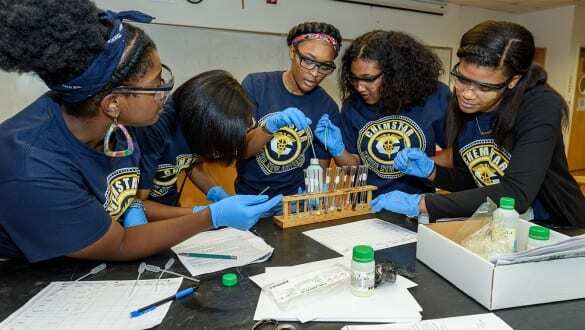 The program identifies and provides scholarship and academic support for a total of 500 talented African American high school students who aspire to earn STEM degrees and to pursue careers in STEM fields. Closes March 3. The program is open to college freshman, sophomore and juniors who are 2016, 2017 and 2018 graduates of Essex County High School in Tappahannock, VA. Students must be majoring in Art, Education, Business, History, STEM or related-major, and attending a UNCF-member institution or an HBCU. Closes March 8. These $4,000 merit-based scholarships will be awarded to entering college freshmen students (fall 2019) of African American descent attending four-year, accredited, non-profit degree granting colleges and universities of their choice. Open to citizens or permanent residents of selected areas of the United States, a resident of London, England, or a citizen of the Bahamas. Closes March 31. Also: The UNCF General Application is now available for students attending a UNCF-member institution. Apply now!